Baylor University provides several systems for faculty and students who require academic and research computing resources. These systems are operated and supported by the High Performance and Research Computing Services group. Detailed information about these systems can be found here. 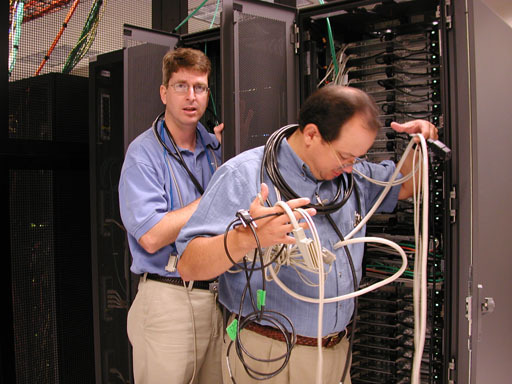 The High Performance and Research Computing Services group provides programming support and mentoring for faculty and student researchers using the central HPC systems at Baylor. Assisting clients with parallelizing their serial applications. Helping clients debug and optimize their applications. HPRCS staff will consult with faculty to assess their research needs and coordinate support from ITS, Library and Academic Technology Services, the Vice Provost for Research, Academic Technology Directors, and other university resources. The High Performance and Research Computing Services group provides support for Linux on departmental workstations. This support includes installation and setup of the operating system, assistance with Linux issues/problems, installation of the CrashPlan backup client, and, to a limited extent, help with hardware problems.